Technical rating of trail: Standard trail walking, but strenuous. 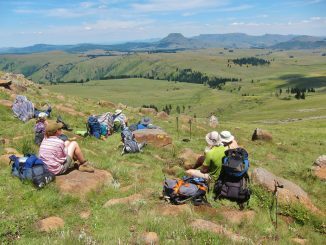 The Uitsoek Hiking Trail is situated in the Mpumalanga Lowveld, close to the town of Nelspruit, just past the Sudwala Caves and Resort. The trail is one of the many trails provided by Komatiland Forest, now called SAFCOL. 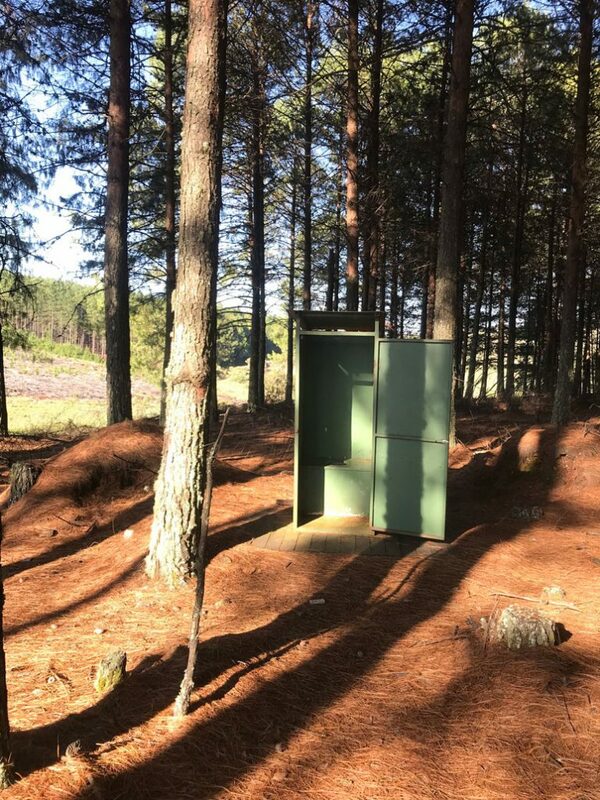 The trails and overnight huts are usually well marked and maintained. I must add that there seems to have been a change in management/ownership at Komatiland and this was reflected on the trail and the facilities on this hike, which were not up to standard. 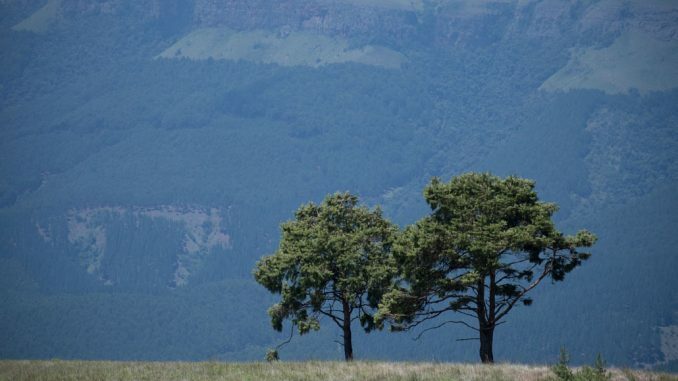 The Uitsoek Trail is notorious for being strenuous. Most hike reports will mention that it should only be attempted by fit and experienced hikers. About 15km with a minimum of 900m altitude gain. Most folk overnight at the Uitsoek Hut (25°17’28.96″S 30°34’56.90″E). 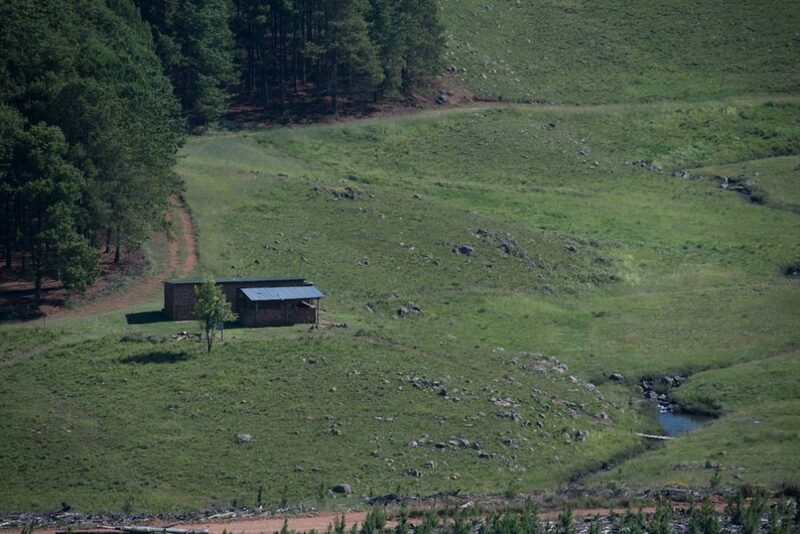 Uitsoek has 24 bunkbeds, electricity, hot water and braai facilities. No pots or pans are provided. 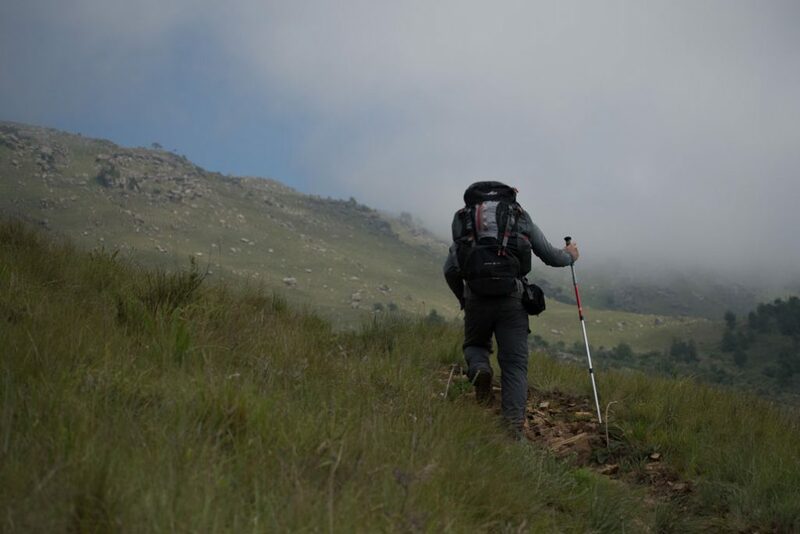 An early start is essential, as it can be a very long day up and over the mountain, with only sporadic shade as the trail takes you through several small riverine forests. 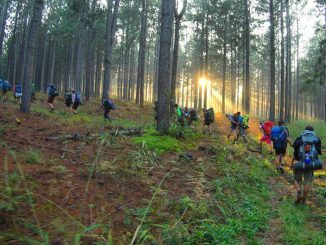 There are the mandatory plantations that you have to navigate through, and, depending on the time of year, there is some spectacular scenery as the trail ascends through indigenous forest and grassland. 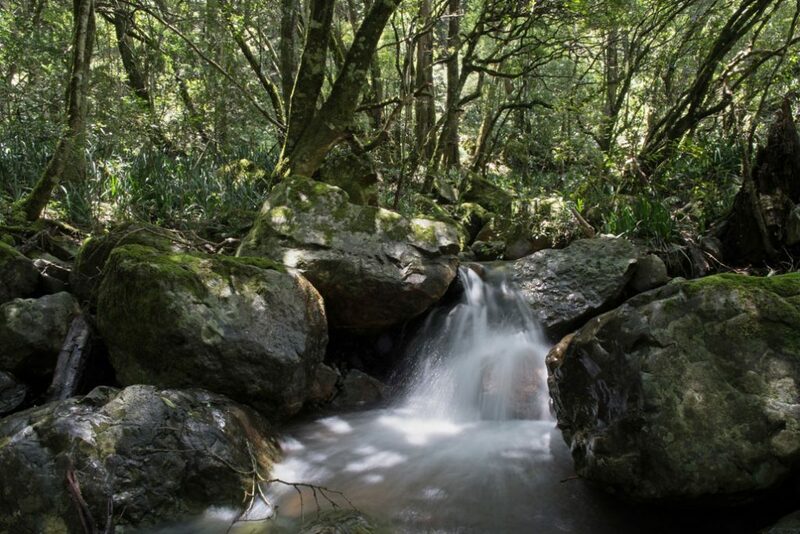 Waterfalls and clear streams provide a welcome rest and a spot to cool down. Once you reach the top, and you are able to see the old forestry fire lookout. The trail traverses through more plantations until the Lisabon Hut is reached. The Lisabon Hut (25°14’0.49″S 30°32’9.53″E) has two separate rooms with 12 bunk beds, and a central communal dining area with a table and chairs. Outside there is a covered braai area where a fire can be made. Wood and a grid is provided. No pots or pans are provided. There is a stream not far from the hut for drinking water and a quick swim (if it’s warm enough). Although there is a forest “long drop”, which is clean and neat and not far from the hut, there are no bath or shower facilities at the Lisabon Hut. 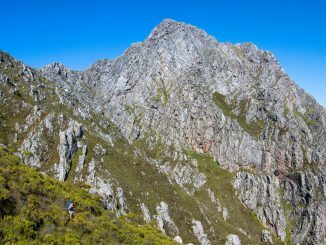 Although slightly shorter than day 1, at approximately 14km, you still have to make your way down the 900m you ascended the previous day. The highlight of the trail is the bottom section where you enter the indigenous forest and navigate along the river. There are several river crossings, and, in most places there are bridges provided. Have your “water shoes” ready for the odd crossing where the bridge has gone missing. This forest walk can be intimidating, hot, and humid in the summer months, and, between the noise of the river and the cicadas (Summer Screamers) it can feel rather daunting. 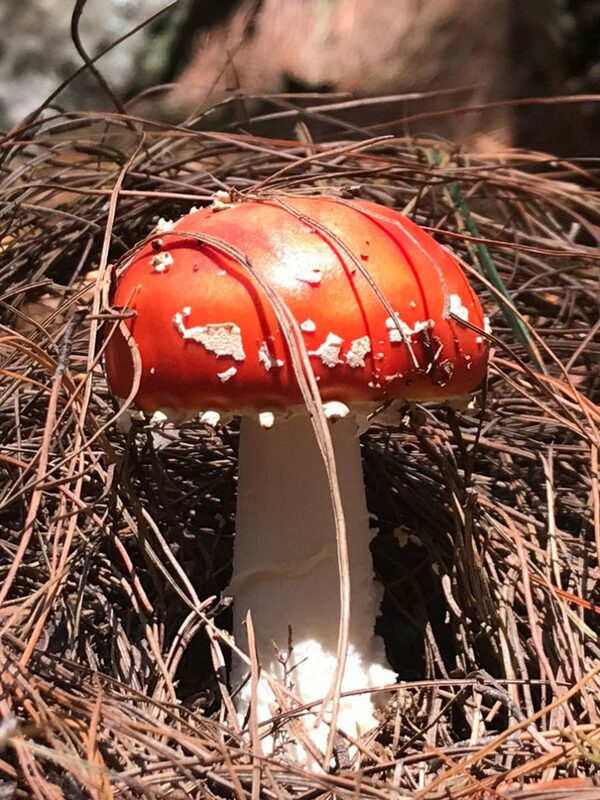 Being an indigenous forest, the natural wonders are everywhere. 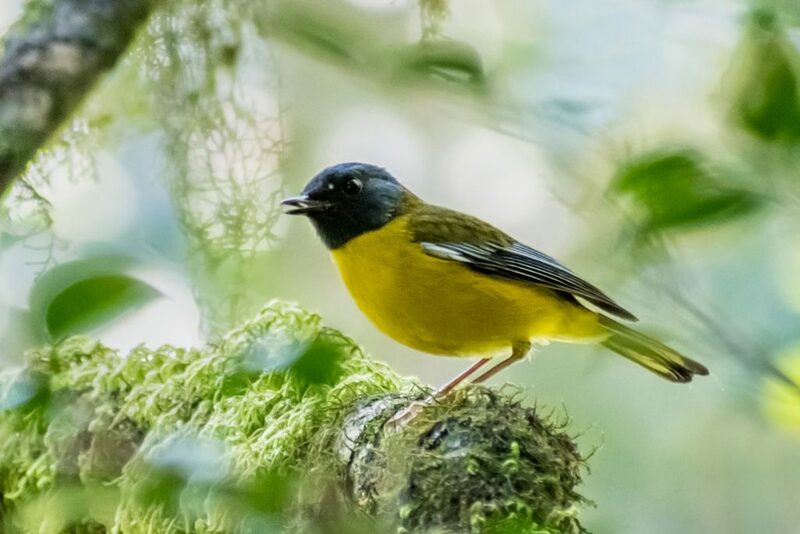 From rare and endemic birds to the most colorful mushrooms, butterflies, plants and insects. Anyone who enjoys the little and unusual critters will take hours to complete this section. 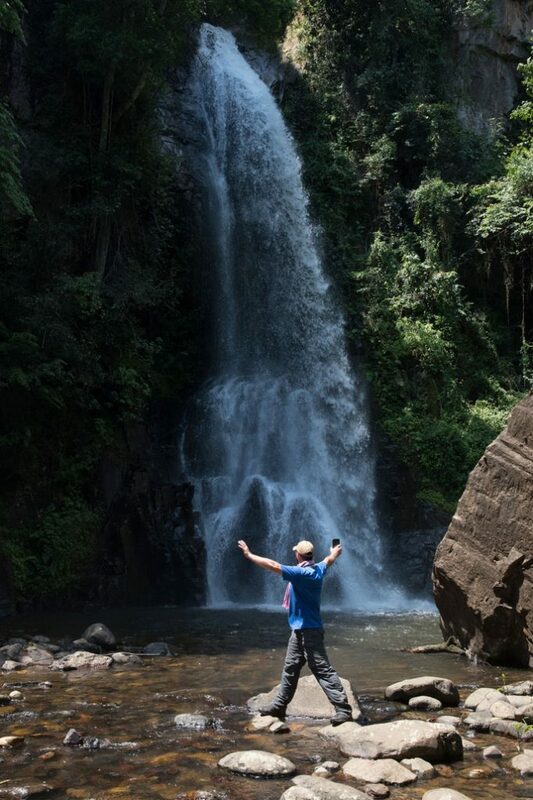 The climax of day two is the Bakkans Waterfall. In summer, after good rains, this waterfall is spectacular and can be heard long before you see it. 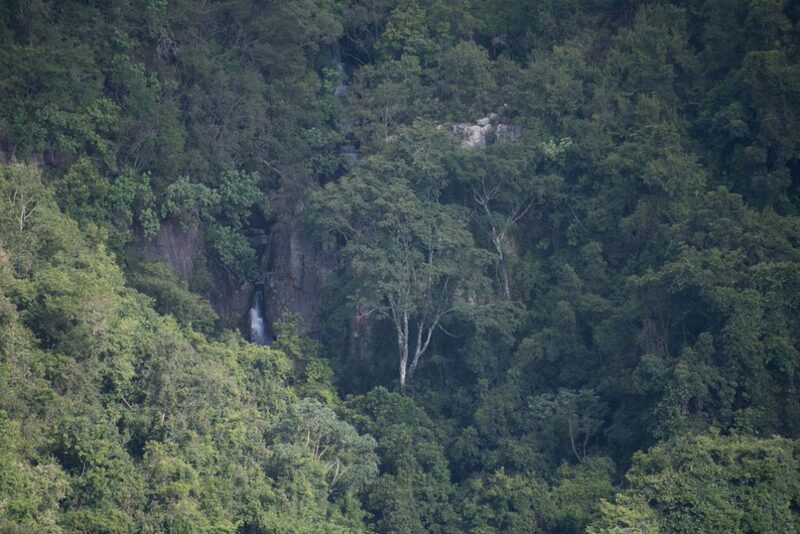 You get a glimpse of the waterfall from the top before you descend to its plunge pool. The spray and breeze caused by the plummeting water is a very welcome natural air conditioner. Once done at the waterfall, the long trek back begins in order to get back to the Uitsoek Hut where you started the previous day. This is a beautiful trail and certainly one worth doing. However, as previously stated, you need to be above average hiking fit in order to enjoy this trail. For those less fit perhaps it would be better to try the day trail options. All photo credits go to my trail buddy Heinrich Human. Well done, remember if was easy everyone would do it 🙂 Remember the best views come from the hardest climbs.